When you’re looking to purchase or rent professional looking uniform you can always rely on Tibard for a great service. Tibard is the one-stop shop for all your uniform and workwear. Tibard is an international supplier of uniform with a reputation for high-quality workwear clothing. But more than that we understand the ever-evolving needs of a business’s uniform. Tibard’s range of services from embroidery and bespoke design to commercial laundry services and rental uniforms with world-class customer care has brought us over 40 years of success in this business. Don’t let uniform stresses get in the way of doing business; we’ll take care of everything. The benefits of buying online from Tibard are that we have a truly enormous range of products for each of the industries we sell uniform to because of the large national and international clients that we supply to on contract. This also means that we can sell workwear to businesses in Nottingham, Beeston, Bingham and Hucknall at highly competitive prices and also offer brilliant bulk discounts so that as you spend more, you save more. No matter what your size, even if you are interested in just a single product, you can take advantage of these great prices and our superb customer service. Tibard can also provide embroidered workwear to Nottingham businesses through our online website which is all part of our excellent and easy to use personalisation service. Embroidered or screen printed uniforms are perfect for those companies who want to display their brand's logo or name on their uniforms, and it is very helpful for those wishing to achieve a more professional look with their workwear. Whatever your workwear or uniform needs are, we are sure that we can help and if you need any further information or help with orders or about what we can offer, simply get in touch. Tibard specialises in manufacturing quality chef jackets and the hospitality uniforms; these clothes will work as hard as you. We provide uniforms for bars, clubs, cafes and restaurants in Nottingham and happy to cater our service for small and big businesses throughout the area. Get your uniforms embroidered with your logo and restaurant name whether that’s a waitress apron or a fully tailored suit. 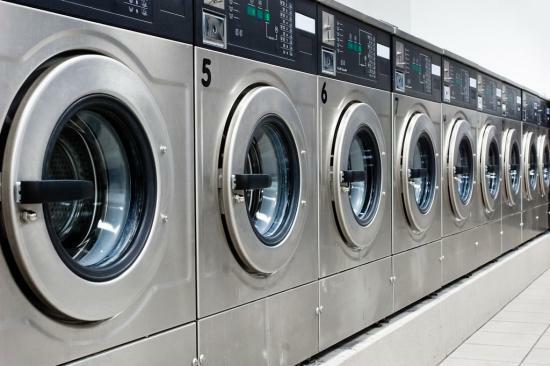 Tibard also provides a commercial laundry service in Nottingham offering you a reliable cleaning for your uniform. As a premium provider of uniform, Tibard clothing is worn nationwide on construction sites, holiday parks and cafes offering a level of reliability and quality that simply cannot be matched. We work with some of the most established businesses in Nottingham, uniforms that you and your staff will be proud to wear. While we can cater for anyone looking for workwear in Nottingham, Grantham, Newark and Long Eaton, we provide specialist services for those who need large uniform orders or who operate at multiple sites. One of our most popular services for hotels, restaurants as well as other industries is the rental and laundry of workwear uniforms which provides your business clean, high-quality uniforms at all times for prices that do not require an initially large investment. Our capabilities also stretch to the manufacturing of bespoke uniforms garments which is not something many can match, our bespoke uniform service is ideal for those businesses that want to differentiate themselves from competitors or create a uniform with strong links to their brand image. To find out more information about exactly how we can help your Nottingham business with large uniform order, please take a look at our services or even read through our many case studies to find a similar business to you.